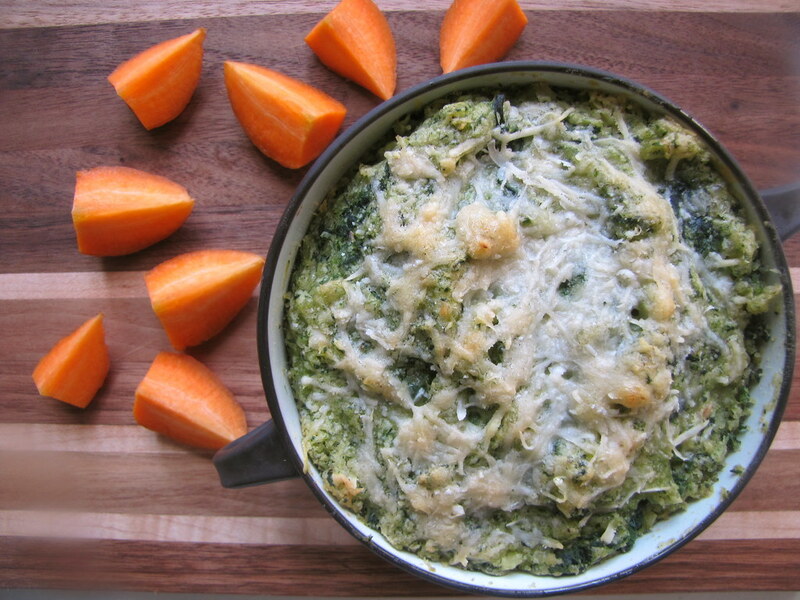 I’ve warmed up to baked, savory dips lately, the kind you schmear onto a cracker or crisped piece of bread at parties. 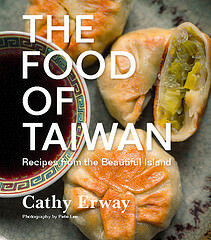 I love cracking the golden crust like a creme brulee, revealing an oozing interior and steam. On Thanksgiving, I mustered my first-ever artichoke dip, a simple concoction using tangy Greek yogurt instead of mayonnaise or cream cheese. 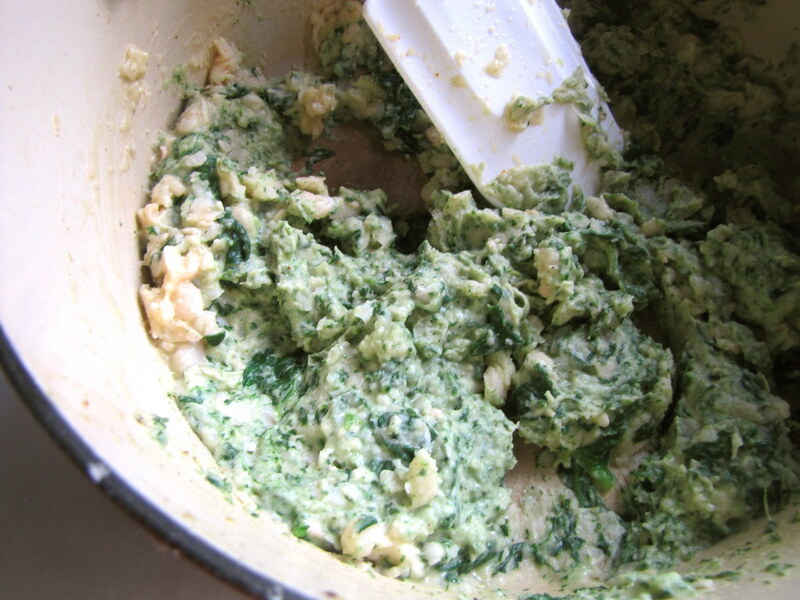 Last weekend, it was this creamy blend of white beans and spinach, pulsed just enough to create a velvety texture but still retain some bits of bean. You see, I don’t really have an affinity yet for baking mayonnaise or cream cheese. So why get attached when there are more heart-healthy alternatives to try? This bean-studded one really sung, for instance. I’ve used Great Northern beans, a white variety similar in size to cannelini, and a common favorite for cassoulets; and a bunch of fresh spinach leaves that were just wilted in a pan until silky and deep-green. Four large roasted cloves of garlic were smushed into the mixture, to lend a sweet-and-savory depth. And to burnish the top of the dip golden-brown, some grated aged cheese was sprinkled on — an optional touch. Milder-tasting than hummus, this dip might remind you of a very condensed bean soup with plentiful spinach or leafy greens. I’ve drizzled lots of good, fruity olive oil into the mixture to loosen it up and make it glisten a little. You can really taste it throughout. The dip will dry out faster than versions made with dairy products, so it’s a good thing that some of those mini cast iron pots I’ve collected over the years come with a lid. Yes, it seems that my new fondness for baked dips probably stems from the popularity of these miniature, individual-sized bakeware items — and their perfect gift-giving stature (thanks, guys!). They are way too cute not to put to good use. In fact, this recipe can do justice for a couple new cookware items you may find yourself armed with this holiday season: a miniature casserole, and a garlic roaster. Remember what we said about those? Well, you can certainly use one for this recipe, below. Drain the beans and fill with enough cold water to cover by two inches. 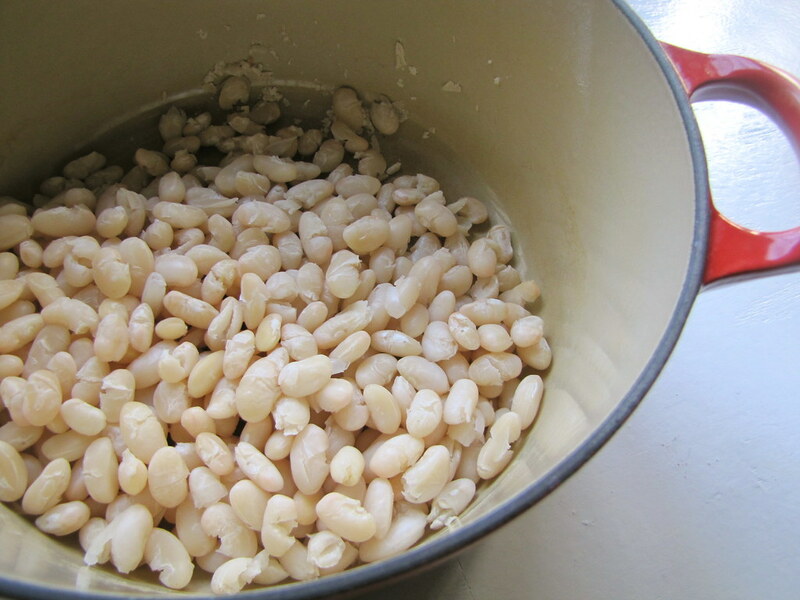 Bring to a boil, then reduce to a simmer and cook, partially covered, for about 1 hour, or until beans are tender. Drain beans. Preheat oven to 350 degrees. Keep the garlic cloves in their papery husks but cut the tough ends off to reveal some of the flesh. 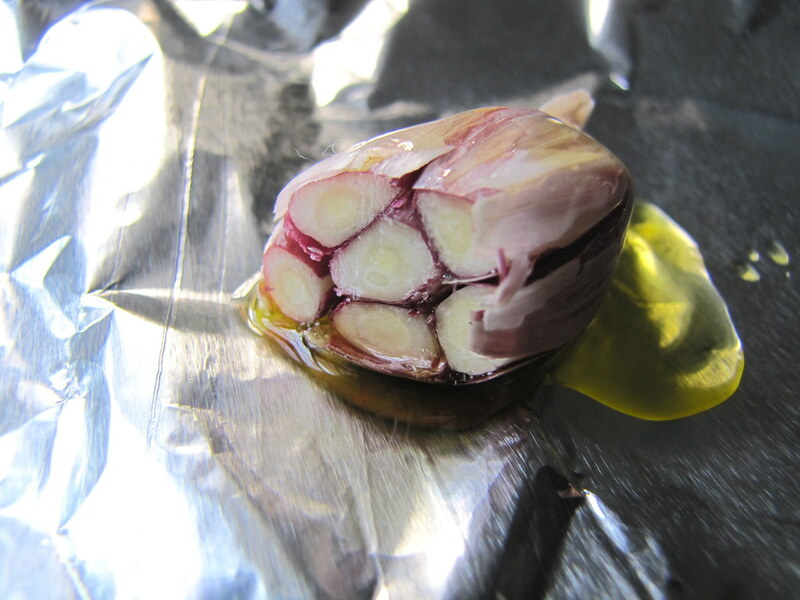 Place in a sheet of foil and drizzle about a teaspoon of olive oil on the cloves. Wrap well with foil, then place on a cookie sheet and roast for 20-30 minutes or until cloves are softened and slightly golden in color. Let cool, then squeeze the softened flesh out of the husks. Heat a tablespoon of olive oil on a sautee pan and add the coarsely chopped spinach, along with a pinch of salt and pepper. Sautee just until spinach is completely wilted, about 1 minute. Transfer the spinach to the drained beans, and add additional pinches of salt and pepper, the optional cayenne pepper, and the lemon juice. Using an immersion or stick blender, gently pulse throughout the mixture, drizzling in the remaining olive oil to desired consistency. (Alternately, you could transfer to a food processor and pulse several times, stopping to scrape down the sides with a spatula.) Season with salt and pepper to taste. Preheat oven to 400 degrees. 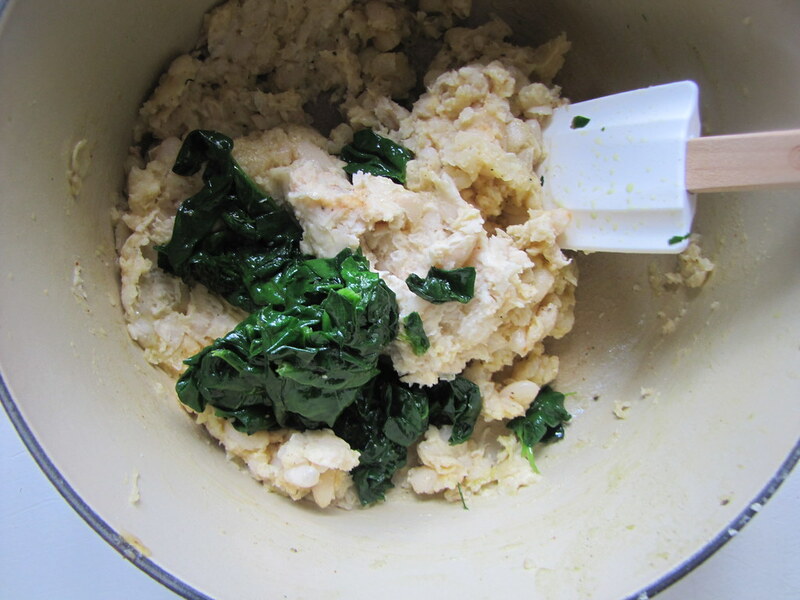 Coat the inside of a small, oven-safe casserole with olive oil and fill with the bean and spinach mixture. Sprinkle the optional grated cheese on top. Bake for 10-15 minutes, or until top is just slightly golden-brown. Let cool a few minutes and serve warm. Three brownie points: A healthy snack indeed. This dip not only substitutes heavy dairy products with fiber-rich, heart-healthy beans, but it has plentiful spinach, cooked gently to retain nutrients. It’s also vegan if you omit the grated cheese baked on top, and pretty inexpensive compared to the less-healthy classic spinach dip to boot. 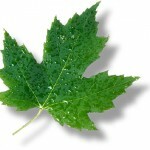 Seven maple leaves: Dried beans are a great staple for winter cooking, as they keep as long as you like and offer hearty, low carbon-footprint protein in place of meat. (And did I mention they’re cheap?) It’s fun trying the many different varieties of organic and heirloom beans that I can now find from local distributors, too. 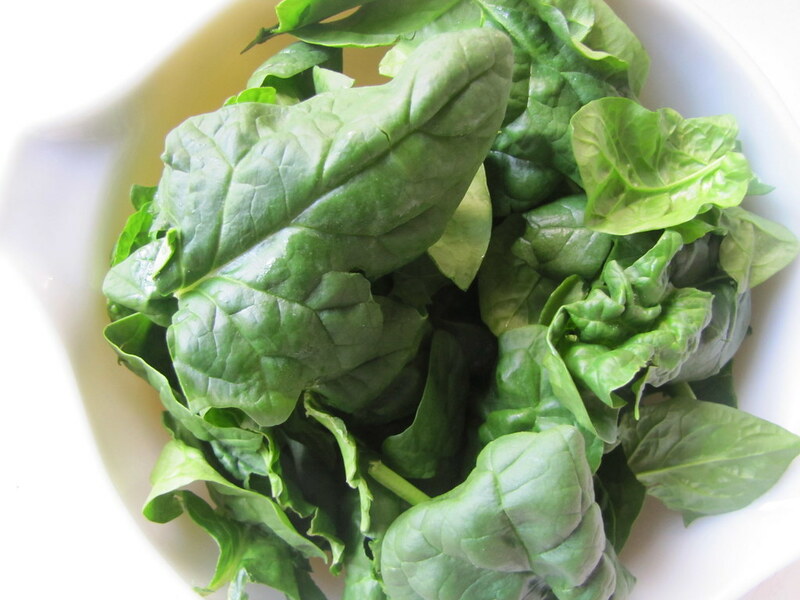 Spinach is likewise a hardy crop that can be found locally now, often organically grown to avoid pesticide residue. I like it. Looks healthy but still delish! I’d probably make it with greens other than spinach or chard, since cooking these releases oxalic acid, which interferes with calcium absorption. But it would be just as delicious either way!